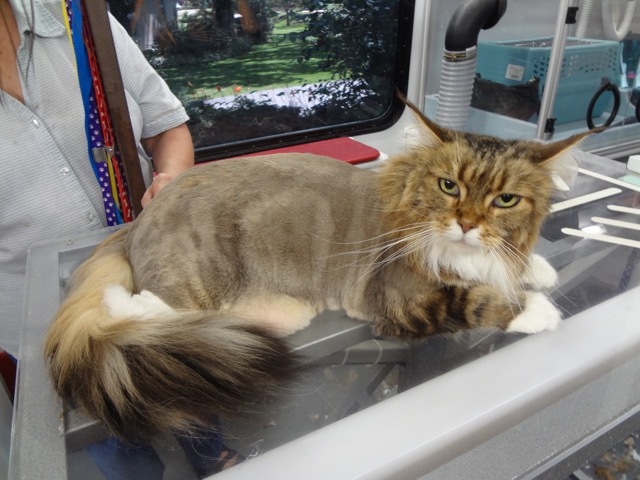 There are many reasons for a veterinarian to use and recommend a certified cat groomer. 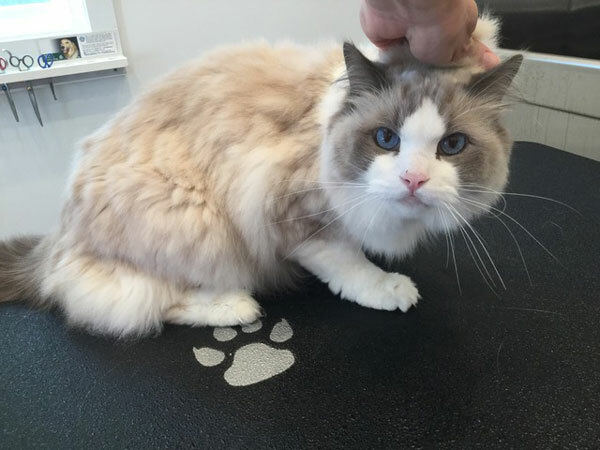 The most important is that it improves the over all health of the cat. 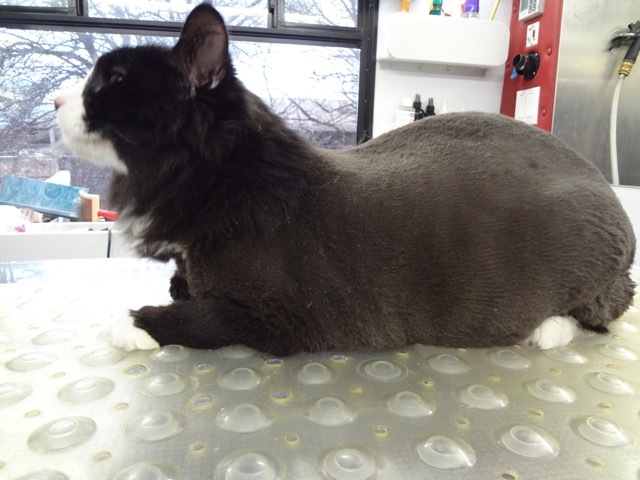 There is less dead hair to form hairballs and cause intestinal problems. Less dead hair also means less matting and skin irritation. With less skin irritation, there is less chance of skin infections or over-grooming. 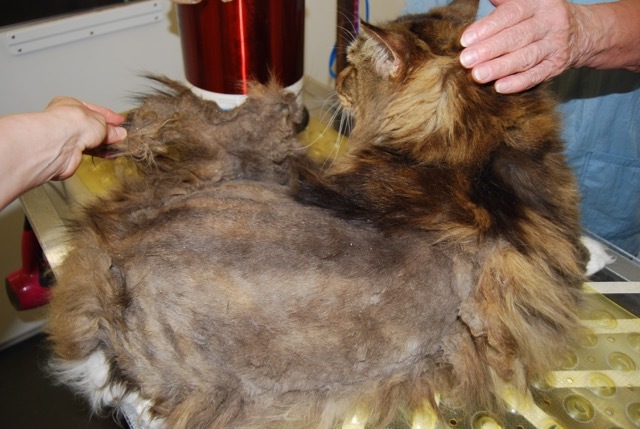 The haircoat is not the only part of the cat that a certified cat groomer looks at. The ears, eyes, and mouth are also noted. 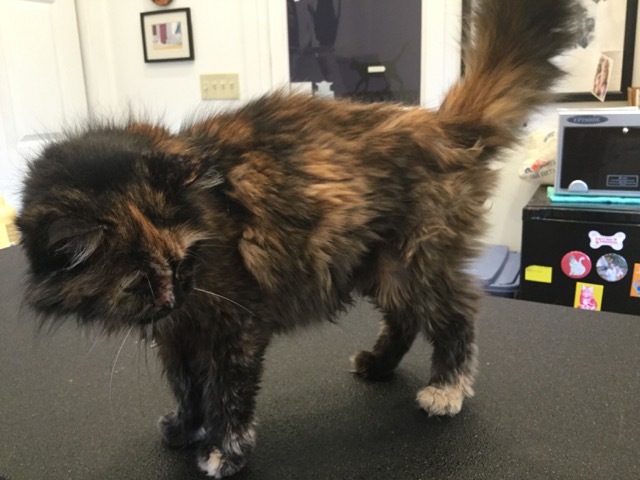 Many times the groomer is the first person to notice changes in the cat’s health and can point out subtle changes that indicate the beginnings of a problem. 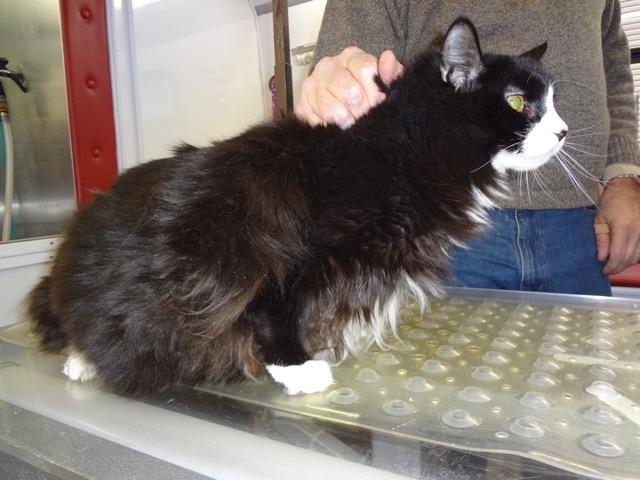 This allows the cat to be evaluated by the veterinarian for the changes. 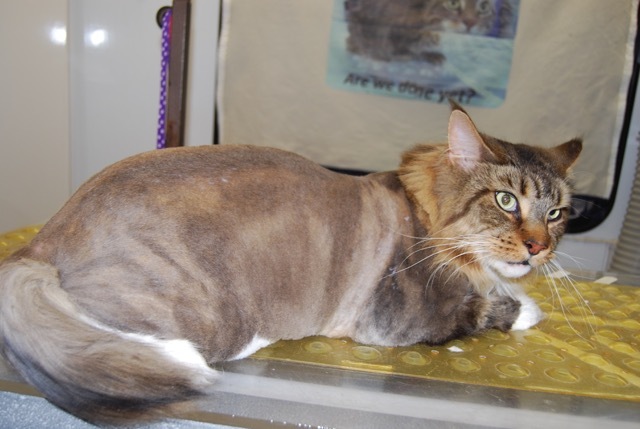 A certified cat groomer is also trained in how to handle a cat for grooming. Cats are not small dogs and need to be treated differently. 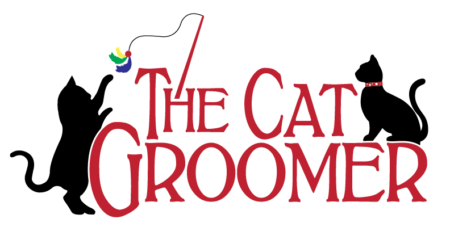 A certified cat groomer does; treating the cat with gentle assurance. 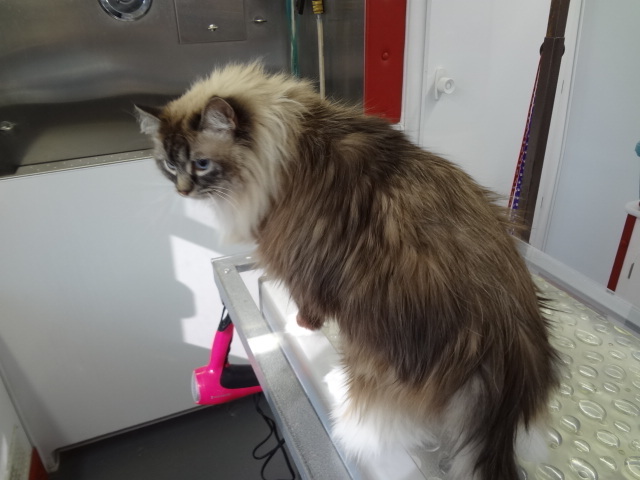 Under a cat groomer’s care, the cat gets a complete brushing of the coat, a bath with gentle shampoos, nail trim, ear cleaning, and special attention for special breeds like Persians. 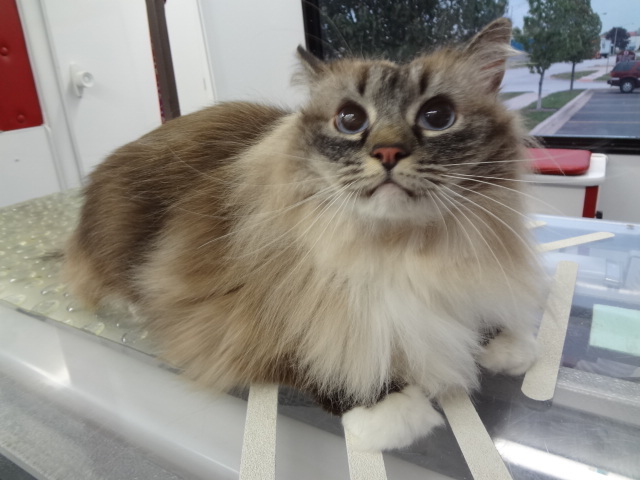 Due to the specific training groomers receive, most cats relax and enjoy the experience. 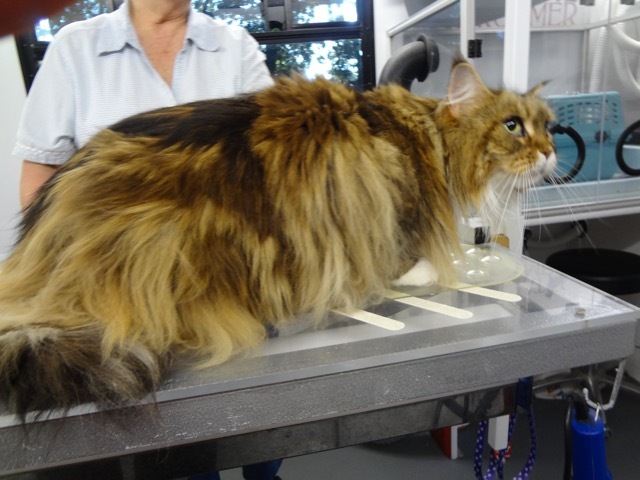 With a more positive experience, the cat needs to see the veterinarian for stress related problems less often. 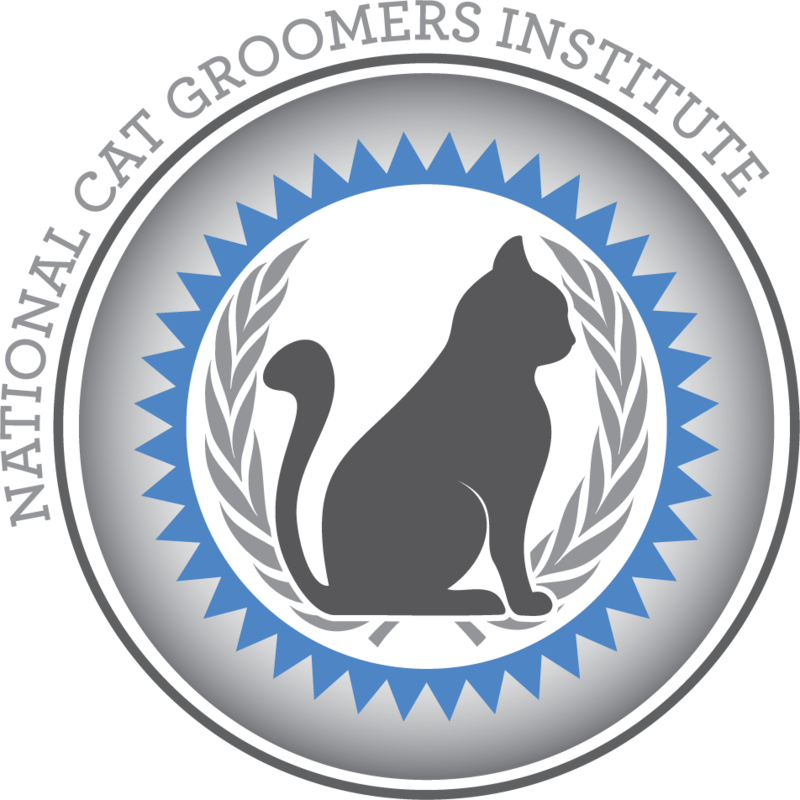 When my patients need a grooming, I recommend only the certified cat groomer in my area. With her, I am sure my patients will get the care they need to complement my treatment plan for their particular condition. I met you a few weeks ago. I was full of fur balls and wasn’t feeling very good about myself. I spent a lot of time hiding under the bed. You would too if you had matted fur like I did! After my grooming, I am like a new girl. I have spring in my step and come out to play more because I am beautiful again. 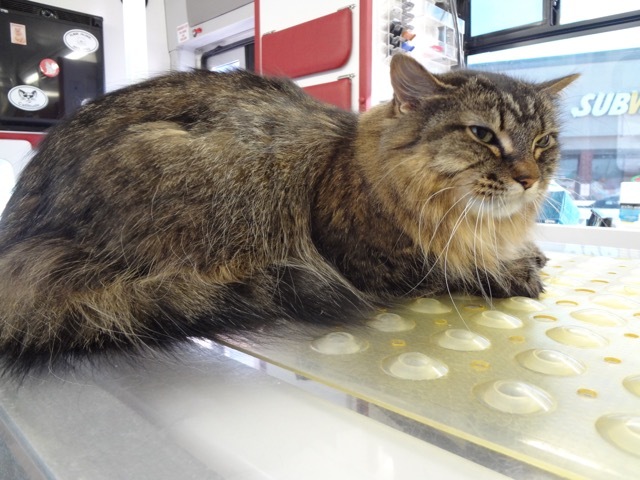 Not too crazy about the metal comb but I like being brushed again. 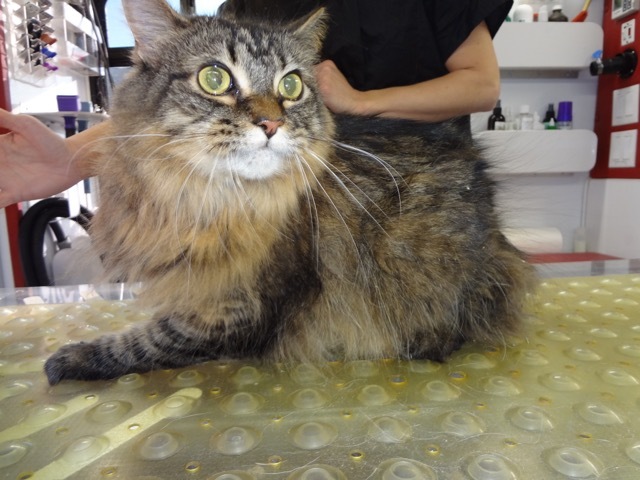 Wanted to thank you for your gentle treatment and for not having to shave off all my fur. I like myself again and feel so much better. See you again for sure. Thank you. My owner says thank you too. I couldn’t be happier with service that Cheryl provides.The time, level of care and professionalism far exceeded all my expectations. 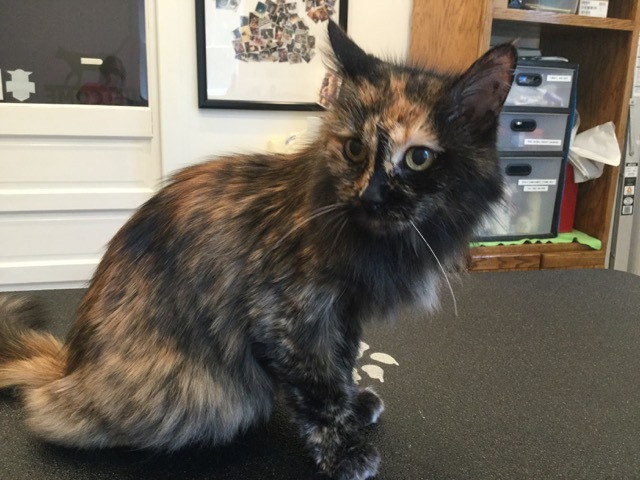 I would highly recommend Cheryl’s cat grooming to all cat owners. Zeus looks awesome! – Mark K.
I just wanted to thank you again for attending to Penny. She smells so fresh, and I’m thankful that you got rid of her mats. She is resting and is probably wondering what I did to her. But, she really needed to have a “Beauty Day”. She looks wonderful. – Arlene E.
Maestro looks absolutely magnificent! Thank you so much. Now that he is tricolored with the grey, he looks like another species. He is as cuddly as ever. We will see you in the future. – Pam P.
Thank you! She “Ruby” looks beautiful! And she appears to know it! I’m using the metal comb now and it’s a lot better. Thank you – Pam S.
Thank you so much for taking care of Butch. 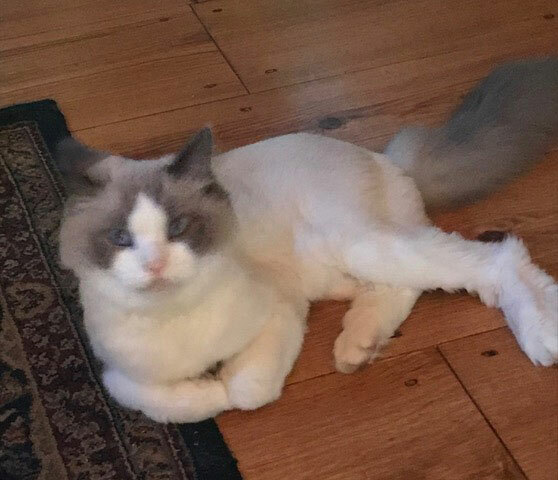 He looks great, smells great, and has been a much happier cat ever since his grooming. A funny thing about Butch since he has been groomed is that he has started chasing his own tail. It’s quite funny and great to watch because he just appears so joyful and happy while doing it. 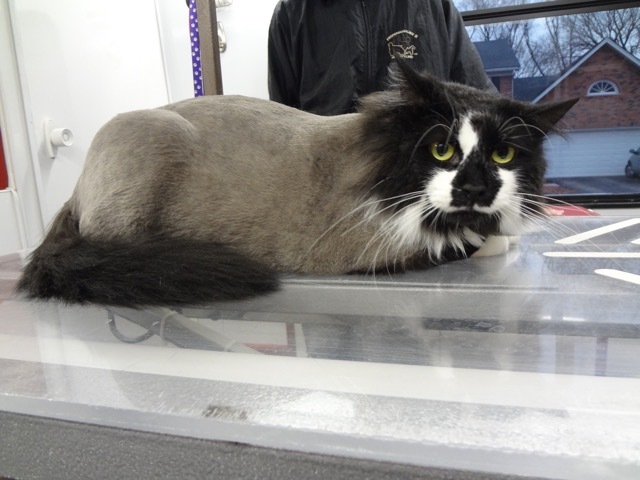 To anyone reading this, I highly recommend The Cat Groomer. You will be extremely happy with the results. Once again, Thank you. – Craig S.
Fluff is so much happier. She jumps up purring not crying. In the 3 weeks since you groomed Charley, he has been happier and livlier than he had been in a long time. He is sleeping in his bed on our bed each night as he used to in the past. He stopped sleeping under our bureau during the day. He plays in the evening and runs around the house like a kitten. I have been combing him. His mane has grown enough that he looks like himself again. He doesn’t look as skinny since his fur has grown back enough. 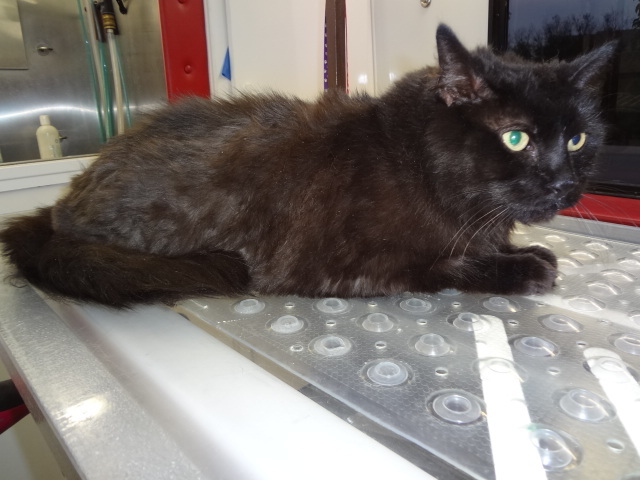 The extraction of 7 of his teeth last fall caused him to be unable to work effectively on his own. 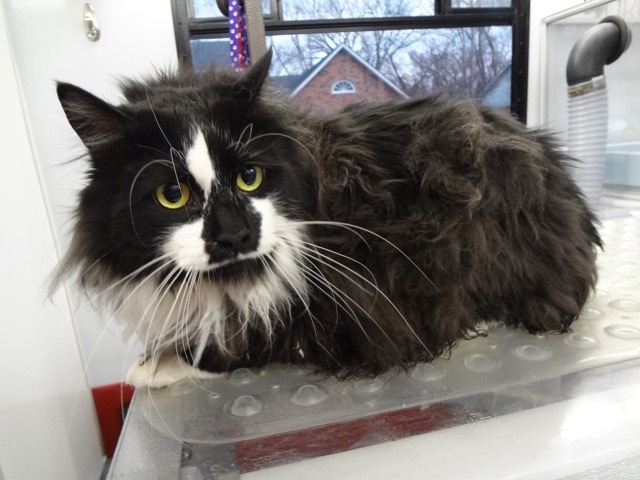 [Grooming is] good for older cats and others with “disabilities.” He also loves to be petted now, which he didn’t before his grooming. 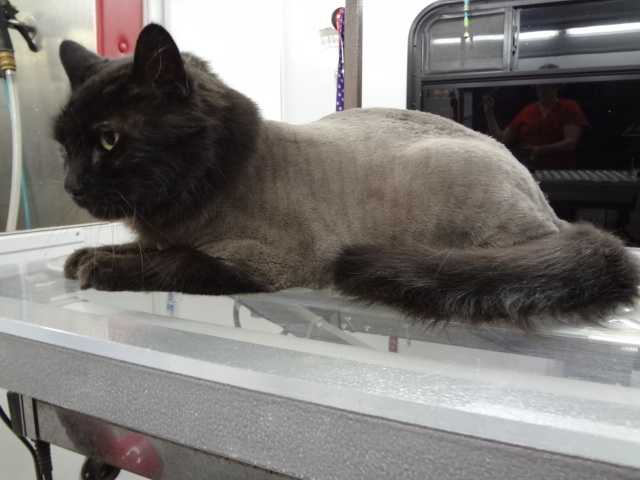 Another reason for professional grooming. Thanks so much. We will see you again before too long! – Cindy & Steve P.